If you love tequila and you love playing poker – then you’re bound to love tequila poker right? Well – maybe so, maybe not. But one thing you will surely love is the massive welcome bonus on offer from one of the most exciting online casinos around; the creators of tequila poker, Betfair casino. 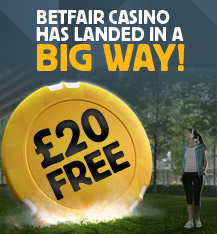 First off, the site offers a great welcome bonus to new players registering of £200. This gives new gamblers the chance to try out the Betfair casino for free – and to walk away if they don’t like it for any reason. But of more interest still, to the really big players, is the zero lounge. This is available as a download from the Betfair casino – but is great as the house has no edge here, so gamblers have an even money chance of coming out ahead. But for the less serious gambler, there are the fun games as well – of which tequila poker is just one. The game is a blend of five card poker and blackjack. You start by selecting your chip value, then clicking the “Ante” position on the card table. You can then add a chip to increase your bet or decrease it with by right-clicking – or starting over by selecting “clear bets”. You then deal and will receive a four-card hand, with your total points displayed on the left of the screen. At this point, you have to decide whether to play “High Tequila” or “Tequila Poker” - or simply to fold. If you play on, you receive two more cards and the cards are always arranged such that the first five cards make up your best hand. If they’re winners, you double your cash on the Ante bet and the main bet pays out according to the amount payable on the screen. If you’re a loser, the round is over. This may sound more complicated than it really is; but it’s still worth playing a few games in demo mode only before taking advantage of the introductory offer and playing with the house’s cash. Then whenever you feel ready to play for real money, simply click the “Play for Real Money” button towards the bottom of the screen and see where tequila poker takes you.